The court granted defendant's motion for judgment on the pleadings that plaintiff's BIOS multitasking patent was invalid for lack of patentable subject matter and found that the asserted claims were directed toward an abstract idea. "[T]he central idea of [the claims] are . . . abstract. Claim 1 discusses the basic process of doing two things nearly simultaneously. This is something all people do, but chefs would be particularly aware of the basic concept. . . . [T]he invention of the [patent] is not directed towards an improvement of the BIOS itself. Rather, the invention simply purports to improve the experience of the user of the computer because the user is able to access aspects of the system faster than it would without the multitasking improvement and make 'efficient use of the BIOS boot-up time.' The BIOS itself functions in the same way with or without the improvement. This focus on making efficient use of time is the abstract concept of multitasking, and in the [patent] the BIOS is merely a conduit for multitasking." The court granted plaintiff's motion to dismiss defendant's counterclaim for a declaration that the presumption of validity did not apply because the PTO failed to properly discharge its duties. "[Defendant] asserts that, where there is evidence that the [PTO] did not properly discharge its duties, the application of this presumption violates constitutional due process guarantees. . . . [D]eclaratory relief is inappropriate 'where the substantive suit would resolve the issues raised by the declaratory judgment action.' . . . [I]t is apparent that . . . [defendant's] counterclaim is not an appropriate request for declaratory relief. The relief it seeks has no relevance outside of the context of this lawsuit. Rather, [defendant] asks the Court to make a preemptive legal determination for purposes of this suit only. . . . But even if [defendant's] request were a proper claim for declaratory judgment, there is an independent reason for rejecting it. . . . [I]n the civil law context, a presumption will be upheld against a due process challenge unless it is arbitrary . . . . [T]he presumption of validity is not arbitrary, but rather is substantiated by a number of rational policy justifications. Some of these support the application of the presumption even where there are reasons to question the integrity of the PTO’s determinations." CBM review is available only to a party charged with infringement of a CBM patent. Under AIA § 18(d)(1), a patent qualifies as a CBM patent if it contains at least one claim directed to a financial product or service that is not technological. In 2013 and early 2014, no CBM petitions were denied institution for failure to satisfy AIA § 18(d)(1). But that is changing. In recent months, more than 20% of the CBM petitions were denied institution for failure to satisfy AIA § 18(d)(1). Click here to view a statistical analysis of the increasing importance of AIA § 18(d)(1) in CBM institution decisions. The court accepted the magistrate judge's recommendation that defendants could not be compelled to produce discovery from their previously dismissed parent company, but ordered defendants to show cause why evidentiary sanctions or an adverse inference of infringement should not be imposed. "After the dismissal of [the corporate parent], [the remaining subsidiary defendants] stated that the technical documents sought by [plaintiff] were not in their possession or control, but might be obtained from [the parent]. [The parent] refused to provide the documents voluntarily. Unable to obtain timely discovery from [the remaining defendants], [plaintiff] sought discovery from [the corporate parent] through international Letters Rogatory. That request was denied by the Japanese Ministry of Foreign Affairs. . . . As a last resort, [plaintiff] moved to compel [defendant] to produce documents and Rule 30(b)(6) testimony regarding the design and operation of the accused products. [The magistrate judge] denied the motion, based on the legal confines effectively imposed by [a Technical Assistance Agreement]. . . . [T]he parent company of the defendants has relevant information critical to a fair and just resolution of this patent infringement case, and has erected legal barriers to the production of such information through its subsidiaries, barriers that were known but not disclosed to the court when considering dismissal. It is a defendant's obligation under this court's rules to provide all relevant, non-privileged information. The court declines to allow [defendants' parent] and defendants to use the TAA as both a sword and a shield." The magistrate judge recommended denying defendant's motion to dismiss the asserted claims of plaintiff’s patents for categorizing summarized information for lack of patentable subject matter because defendant failed to establish that the claims were directed toward an abstract idea. "The Court agrees with [defendant] . . . that businesses have used past transaction information to predict future transactions or for business purposes long before the [patents] existed. Those ideas, or close variations of them, have been found to amount to abstract ideas. The key question as to step one, however, is whether [defendant's] asserted abstract idea encompasses the 'basic character' of the claimed inventions. The Court concludes that it does not. . . . What the [patents] claim to add is not simply the idea of summarizing past transaction information for some future predictive purpose or for a business purpose (as [defendant's] proffered abstract ideas suggest), but rather the added value of having a categorization system that grows and improves in its ability to do its job, based on the consistent incorporation of new information. . . . The specifications . . . go on to identify the 'key ingredient' of the claimed system in this regard: 'an ability to grow and improve the network categorization system.'. . . . [Defendant's] proffered 19th century example of the asserted abstract idea does not appear to speak to how the catalog service would periodically amend their predicting or forecasting processes based on updated information -- the asserted improvement that is called out by the patent specifications and referenced in the claims." The court granted defendants' motion to dismiss plaintiff's infringement action for lack of personal jurisdiction. Although defendants' Facebook activities were purposefully directed at the forum, those activities were not directly related to plaintiff's claims. "The Federal Circuit has not expressly addressed what Facebook activities might constitute purposeful direction in the personal jurisdiction context. However, it seems apparent that friending a Nebraska resident and inviting a Nebraska resident to like a business page are both activities that are purposefully directed at Nebraska. . . . [B]y posting advertisements for [the company defendant's] products on his personal Facebook profile after friending Nebraska residents, [the owner defendant] has purposefully directed activities toward Nebraska. . . . [T]he actions of friending Nebraska residents and inviting a Nebraska resident to like the [the company defendant's Facebook] business page clearly do not give rise to the patent infringement claims. These activities do not, by themselves, constitute making, using, offering to sell, or selling patented inventions. . . . [The owner defendant's] posts on his personal Facebook profile do not constitute offer to sell under the meaning of § 271. Next, although the plaintiff asserts that [the owner defendant] provided instructions on his Facebook profile for how to operate and install the [accused] product, none of the evidence the plaintiff cites appears to support that particular assertion. Accordingly, the plaintiff's claims for indirect infringement do not arise from or directly relate to the activities the defendants purposefully directed toward Nebraska." In response to the parties' dispute concerning the scope of a protective order governing confidential information, the court ordered the parties to submit a revised order imposing a prosecution bar on plaintiff's in-house litigation attorneys and granting defendants a covenant not to sue on plaintiff's after-acquired patents in the lighting industry. "[Plaintiff] describes its business as 'a new model for individual inventors and small companies to monetize their intellectual property.' . . . '[Plaintiff] achieves this goal by acquiring patents and litigating on behalf of itself, using experienced patent litigators that are directly employed by [plaintiff] instead of outside counsel, at a great cost savings.' . . . '[Plaintiff's] argument that its principals are not competitive decisionmakers because it is not a direct competitor of any Defendants rings hollow. . . . Given these three . . . lawyers' roles as competitive decisionmakers, I think there is a concrete, particularized risk of inadvertent disclosure and misuse here. . . . I think that a prosecution bar and covenant not to sue these Defendants on after-acquired patents in the lighting industry would adequately protect Defendants' interests while allowing [Plaintiff] to prosecute these actions with its in-house lawyers. . . . Because [plaintiff] purposefully diversifies its patent portfolio and does not target any particular industry or technology by design, temporary limitations on its patent assertion activities against these Defendants should not be unnecessarily harmful to its business." The court granted defendant's motion to dismiss plaintiff's ANDA induced infringement claim for failure to state a claim based on defendant's marketing and sales. "To survive a motion to dismiss, [plaintiff] is charged with providing adequate factual allegations that set forth a plausible claim for relief such that there is a reasonable expectation that discovery will uncover relevant evidence. Despite the marketing of [the accused drug] for at least ten months, [plaintiff] offers no such allegations. . . . [T]elling a patient that thirty capsules may last a year in no way constitutes '[e]vidence of active steps taken to encourage direct infringement.' Moreover, a threadbare allegation stating that [the accused drug] can be used for acute gout flares is not the same as stating [it] should be used, explaining how to do so in an infringing manner, and establishing that patients have followed those instructions." The court granted defendant's motion to dismiss because the asserted claims of plaintiff’s remote terminal operation patent encompassed unpatentable subject matter because it "would pre-empt substantially all uses of the underlying ideas at issue." "The [patent-in-suit] 'relates to a method and system for allowing a user of a terminal device to remotely operate upgraded and/or advanced applications without the need for upgrading the client side application or computational resource.' . . . [T]he disclosures of the [patent] are at the macro-level, that is, the patented method uses computerized devices (of any type) in conventional ways (installation of applications, data exchange, and data processing) without delineating any particular way of putting the ideas into practice. . . . [A] distinction must be drawn between claims that seek to pre-empt the use of an abstract idea, and claims that seek only to foreclose others from using a particular application of that idea. Here, it appears that the [patent] pre-empts virtually all possible ways of performing the claimed method because the very steps of the method comprise nothing more specific than the underlying idea itself. In other words, 'the claim's tie to a digital computer [does] not reduce the pre-emptive footprint of the claim since all uses of the [idea are] still covered by the claim.'" The court overruled plaintiff's objection to the magistrate judge's recommendation to grant defendant's motion to dismiss for lack of patentable subject matter and rejected plaintiff's argument that the magistrate should have converted the motion to one of summary judgment. "Plaintiff objects to the fact that the Magistrate Judge declined to consider the declarations of [its expert], which Plaintiff submitted along with its responsive briefing. Plaintiff maintains the Magistrate Judge 'assumed facts outside the pleadings' about the capabilities of the claimed devices that are 'in stark contrast' to [the expert's] declarations, for example by 'reaching the conclusion that the claimed invention amounts to "two computers communicating over a network."' . . . The Magistrate Judge’s finding here is not only fully supported by the plain language of the [patent-in-suit’s] claims, but also wholly consistent with Plaintiff’s own description of the claimed invention. . . . A court ordinarily does not look beyond the pleadings in ruling on a 12(b)(6) motion. In particular, when patent claims on their face are plainly directed to an abstract idea, a court may properly assess patent-eligibility under §101 at the pleading stage." The court denied defendant's motion to dismiss on the ground that plaintiff’s infusion pump battery gauge patent encompassed unpatentable subject matter because the asserted claims were not directed toward an abstract idea. "[Defendant] first argues that the [patent-in-suit] is directed to the unpatentable abstract idea of calculating the remaining time of charge on a battery, based on well-known voltage and current measurements. . . . [Defendant] identifies no precedent entitling a court to limit its Section 101 analysis to 'novel' features while ignoring the tangible components of a claimed patent. . . . Viewing the [patent] as a whole, the Court finds that its claims are not directed to abstract ideas. The claims of the [patent] are directed to a concrete, tangible instrument that utilizes a sampling detection technique, measuring battery voltage and current drain, to determine the time of remaining battery life and to issue applicable alert messages. . . . The use of a microprocessor, moreover, to calculate 'the amount of time left under battery power,' does not itself render the [patent] an abstract idea, particularly where [defendant] points to no evidence that the human mind could perform such calculation entirely on its own." The court granted defendant's motion for summary judgment that the asserted claims of two of plaintiff’s electronic messaging patents encompassed unpatentable subject matter and found that the claims were directed toward an abstract idea. "[T]he asserted claims of [one patent] are directed to the basic idea of sending and storing messages, which is not rooted in computer technology. . . . The idea of sending and storing messages as described in the [patent] is an abstract idea that is not patent eligible. . . . The Court further determines that claim 8 of the [other] Patent is directed to a method for effectuating the abstract concept of coded communication. [Defendant's] hypothetical of coded battlefield communications shows how the method of claim 8 of the [patent] could be performed by a human. . . . The practice of communicating using codes has been in existence for a long time. Coded communication is an abstract idea that is not patent eligible." Following a jury verdict of willful infringement, the court granted plaintiff's motion for enhanced damages because defendant's copying, lack of a good faith investigation, litigation conduct, and a 15-year duration of infringement favored enhancement. "[Plaintiff] presented strong evidence of deliberate copying. And [defendant] presented no evidence as to where, other than in [plaintiff's] product, it would have obtained the idea for such a flow control baffle. . . . There is no evidence that [defendant] conducted any good faith investigation into the scope of the [patent-in-suit] or formed any good faith belief regarding alleged invalidity or noninfringement. Most importantly, the court finds [defendant] was aware of the [patent] including the claims relating to flow-control baffles by virtue of [its manager's] participation in [prior third party] litigation. . . . [Defendant] proposed strained claim constructions and argued meaningless distinctions in an attempt to avoid a finding of infringement. . . . [Defendant's] conduct also prolonged the litigation. [defendant] chose to wait more than two years after suit was filed, until fact discovery and expert reports were completed, to challenge [plaintiff's] patent in reexamination. . . . The duration of the infringement also favors the enhancement. The infringement began in 1999, when the patent was issued and continued until 2014 — four years after this action was filed." The court granted defendant's motion to dismiss because the asserted claims of plaintiff’s clinical drug trial patents encompassed unpatentable subject matter and found that the claims were directed toward an abstract idea. "[T]he 'heart' of the invention relates to using an electronic device to obtain clinical trial data that would otherwise be collected by pen-and-paper diary, and analyzing the data to decide whether to prompt action. The individual steps comprising the method, i.e., gathering data, analyzing same, and acting pursuant to that data, are similar to others that have been found to be abstract. Plaintiff nevertheless asserts that the fact that its invention is limited to clinical trials prevents it from being considered abstract. Yet, Federal Circuit and Supreme Court precedents clearly hold that the one cannot circumvent the ban on patenting abstract ideas by attempting to limit them to a particular technological environment." The court granted defendant's motion to dismiss because the asserted claims of plaintiff’s medical records system patent encompassed unpatentable subject matter and found that the claims were directed toward an abstract idea. "The independent claims are drawn to a system for maintaining patient records that permits tiered access, including reading and editing, by physicians and patients. . . . The 'concept of record access and management' is an abstract idea, even as applied in the particular context of medical records. . . . [Plaintiff] singles out dependent claim 14, which recites that the two-way firewall program 'includes a feature permitting the physician to override the firewall feature and permit the participating patient for a limited time to view limited portions of the physician medical record for said participating patient.' But that, too, is simply the computer-based equivalent of an age-old practice — a physician showing a patient certain test results or diagnostic notes." Since inception, the PTAB has issued 324 decisions addressing whether at least one claim of the challenged patent is directed to a financial product or service as required for CBM review. The vast majority of those decisions (more than 300) occurred at the institution stage or pre-institution motion to terminate. Nineteen occurred in Final Written Decisions. To view summaries of the decisions, click here. To be notified when a new decision is issued, click “Create Alert” at the bottom of the page. The Board granted institution of covered business method review of a patent directed to "coordinating the transmission of supplemental digital data to accompany broadcast data" under 35 U.S.C. § 101, finding the patent was directed to a financial product or service. "[C]laim 6 requires the supplemental data to be advertising data and the ’172 patent teaches that advertising data is used to generate revenue. For example, the ’172 patent specification states explicitly that advertising presented as supplemental digital data may be sold. That advertising data is used in the practice of a financial product or service is consistent with ’172 patent Figure 1, which provides a 'conceptual overview of the implementation of the present invention' and expressly depicts 'rCommerce' with end users receiving supplemental data and purchasing songs, products or services through vendors . . . . "
The New Docket Navigator Mobile App is Now Available! Free to Docket Navigator subscribers, the Docket Navigator mobile app is now available for iOS and Android devices. With a sleek new look and expanded features, the new mobile app keeps you up-to-date with the Docket Report, Docket Alerts, and exclusive special reports. Quickly download documents, link to additional information in the Docket Navigator database, and share important events with colleagues all from your mobile device. Click here for the new app! The court denied defendant's motion to certify for interlocutory appeal an earlier order denying defendant's motion to dismiss for lack of patentable subject matter because, although there was a controlling question of law that would materially advance the litigation, the court exercised its discretion not to grant appeal given the popularity of 35 U.S.C. § 101 motions. "A decision that a patent is invalid is a 'controlling' question of law as '[i]t is axiomatic that one cannot infringe an invalid patent.' These same reasons lead the court to conclude that such a decision would advance the ultimate termination of the litigation. . . . Certification is not meant 'to provide early review of difficult rulings in hard cases.' That the court acknowledged the uncertainty in the developing law under § 101 cannot be the basis for certifying each district court decision on a § 101 motion to the Federal Circuit for review. Given the current popularity of such motions, the certification of each denied motion would surely cause more harm than good and would certainly result in piecemeal litigation." The court granted plaintiff's motion for attorney fees under 35 U.S.C. § 285 against a defaulting defendant because defendant's litigation conduct was unreasonable. "The Court agrees with [plaintiff] that this case is 'exceptional,' as [defendant's] conduct while this litigation has been pending has been unreasonable. Notwithstanding being on notice of its alleged infringement before the filing of the operative Complaint, [defendant] has continued to advertise its allegedly infringing razor products online, both on its own website and through third-party websites. [Defendant] has even used an alias on third-party websites to continue offering its products for sale, and has continued to prosecute its own patent applications while in default in the instant litigation. [Defendant's] founder has even assigned a pending patent application to [a third party], perhaps contemplating using this separate entity to continue selling infringing products. All of this conduct occurred after [defendant] filed its Answer after defaulting a first time, and later refused to continue cooperating with and paying its retained counsel, requiring that default be entered a second time." 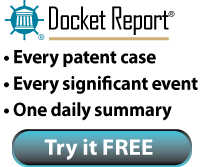 The magistrate judge recommended denying defendant's motion for relief from judgment under Rule 60 and rejected defendant's argument that enforcing judgment after an appeal and remand would be unjust because the PTAB recently issued final written decisions invalidating all but one of the asserted claims of three of the four patents-in-suit. "The PTAB's Final Written Decisions are currently no more than non-final agency determinations, subject to appeal. . . . 'To hold that later proceedings before the PTAB can render nugatory that entire process, and the time and effort of all of the judges and jurors who have evaluated the evidence and arguments would do a great disservice to the Seventh Amendment and the entire procedure put in place under Article III of the Constitution.'" The court denied defendant's motion for summary judgment that plaintiff could not recover pre-filing damages because of its licensee's failure to mark and found that the burden did not shift to plaintiff to establish compliance at summary judgment. "Because [plaintiff] stopped manufacturing and selling [personal watercraft] before any asserted patent issued, the only point of noncompliance with the statue could arise from sales made by . . . its sole licensee. But [the licensee's] sales are inconsequential unless [the licensee's products] are 'patented articles' within the scope of the claims of the [patents-in-suit]. . . . Courts are split as to which party properly bears the burden of proving, by a preponderance of the evidence, compliance with the marking statute. Indeed, the Federal Circuit has yet to resolve competing views. . . . The Court, therefore, adopts 'the better view' that the burden of production does not shift to a plaintiff to show compliance with a marking statute. . . . [W]ithout analysis in the record as to the ways in which the [licensee's products] did or did not implicate the various elements of the patents, the Court finds that a reasonable jury clearly could find to the contrary." Following summary judgment of invalidity for lack of patentable subject matter, the court denied defendant's motion for attorney fees under 35 U.S.C. § 285 because plaintiff's litigation positions were not baseless. "[D]efendant focuses on the very invalidity arguments presented in the summary judgment briefing. The court expended considerable effort in reaching its invalidity determination and analyzed those very arguments in its opinion. Defendant's characterization of plaintiff's arguments as 'reckless' and its claims as 'clearly invalid' is in contradiction to the court's position that the § 101 analysis is an evolving state of the law and a difficult exercise, which does not lend itself to, e.g., shifting fees pursuant to 35 U.S.C. § 285." The ALJ granted respondents' motion for summary determination that two of complainant's activity tracking patents were invalid for lack of patentable subject matter and found that the asserted claims were directed to abstract ideas. "Utilizing conventional electronic devices to obtain and manipulate sleep-related data of an individual is an abstract idea bereft of any innovative technological concept and, as such, cannot be monopolized by [complainant]. This type of information can be and has been collected and recorded by human minds and hands. . . . That the generic components of the patented system are housed within a single unit 'configured to be removably mounted' on the individual's body also fails to render the purported invention less abstract. Staff agrees with [complainant] that the addition of the wearable device saves the [asserted] patent, but I am not persuaded. . . . [T]he recitation of a system consisting of 'a handful of generic computer components' and a wearable device to house them is in substance no different than the abstract idea itself. Notwithstanding that the draftsman of the [patent] included a wearable device as part of the claimed system, the abstract idea of tracking sleep remains unchanged." The most common reason § 101 challenges fail is a failure to establish the first step of the Alice analysis, that the challenged claims are directed to an abstract idea or some other patent ineligible subject matter. However, eighteen § 101 challenges were denied for failure to show the second step, that the claims lacked an inventive concept. To view those decisions, click here. Click “Create Alert” to be notified when a new decision is issued. The court denied defendant's motion for summary judgment that plaintiff's geographical data display patent was invalid for lack of patentable subject matter and found that the asserted claims did not lack an inventive concept. "The [patent-in-suit] seeks to 'enable [space related] data to be represented in any pre-selected image resolution in the way in which the object would have been seen by an observer with a selectable location and selectable direction of view.' Further, the patent aims to 'keep the effort required for generating an image so low that the image generation takes place so rapidly that upon alteration of the location and/or of the direction of view of the observer, the impression of continuous movement about the object arises.' These goals, the patent explains, are improvements over prior art systems like electronic maps stored on CD-ROMs, car navigation systems, or flight simulators. . . . As an ordered combination, this iterative process allows a user to access more electronic pictorial data in a more rapid fashion. The distributed data sources permit a user to access masses of data, while the recursive division step permits a user to access that data quickly, with increasing resolution over time. . . . The elements of the method described in the [patent] are not merely what a computer does; they are a specific procedure that is done by a computer. . . . Claim 1 recites a specific way of overcoming a problem which plagued prior art systems. This specific solution . . . demonstrates a sufficient inventive concept."